Congratulations, what a lovely photo, thanks for sharing. Well done! Congratulations. She’s gorgeous. I hope as soon as you can you plant a tree in her, and world’s, honor. She’ll be amazing and sweet and all there is beautiful in the World. Congratulations to The Best Mother, The Luckiest Father and Husband, Welcome Dear Princess/Fairy/Amazing Person!!! 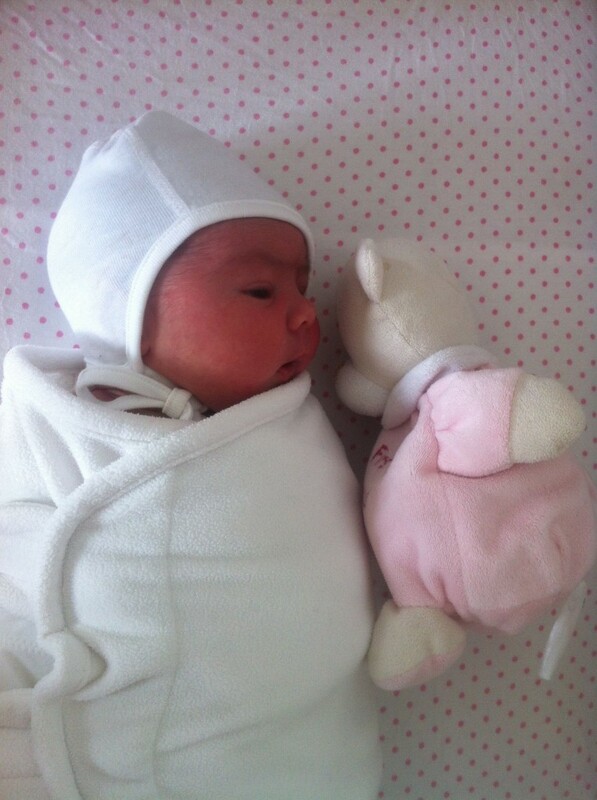 PS – she looks like you Maria – cute as a button and already eating the world with her eyes. Precious! Ah! Glückwunsch zu diesem hübschen Mädel!! *toi toi toi* Nazar olmasın! Ganz herzliche Gratulation zu der süssen kleinen Alissa! Und die allerbesten Wünsche euch allen! She is a precious little angel.